Return trip. 2 hours canoe rental. Starting from the Red Lion pub on Bishopgate you paddle past Cow Tower, underneath the Jarrolds Bridge and Whitefriars Bridge, along Quayside and plenty more historic bridges and interesting places. Check out the Arts University, the old Bullard and Sons Anchor Brewery and the derelict Eastern Electricity Building which still has Sir Thomas More’s novel Utopia painted on it (by artist Rory Macbeth). If you’d like to stop for a drink, The Ribs of Beef is a great riverside pub with a beautiful balcony that overhangs the river. 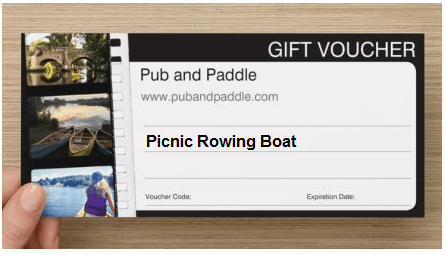 If you prefer to maximise your time paddling and not stop, you can continue past the launch spot and paddle alongside Riverside Road, passing Pulls Ferry, and continue towards Riverside. You’ll want to spin yourselves around when you’re near The Waterfront and leisurely paddle back towards the launch spot. Vouchers are valid for 12 months. Please note we are closed on Tuesdays. 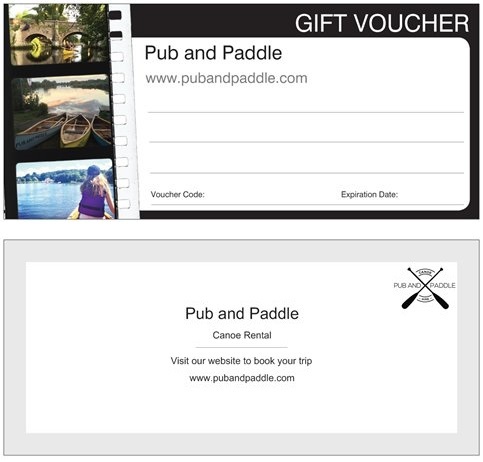 Please note: Pub and Paddle is a trading name of Weston Canoes. Your payment will be processed by Weston Canoes and will show on your statement under this name. Last minute present? 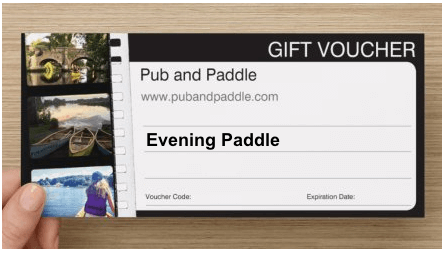 Print this blank voucher (jpeg or pdf) until the actual voucher arrives!